Security has always been a concern of human beings and it has always been on top of our priority list. Thanks to technology, a wide range of software and hardware are used and gave way to the introduction of biometrics in security. In our modern society, biometric locks are in demand and one of the prime commodity for business operations. This is the latest security product that allows you to enter your home or office with the swipe of a fingerprint in a second. This is more convenient since you do not need to worry on carrying your keys with you or remembering complex combinations. In a business setting, biometric locks are used to track the time in and out of employees. Aside from monitoring the time logs of employees and staff, it can also provide security for the businesses in terms of accessibility of authorize people to enter their offices. It also encourages punctuality of employees and is easier to store their data. Furthermore, it allows a more reliable source of information for the business owners in tracking the exact time in and out of their employees. So let us get into details on how biometric locks work? 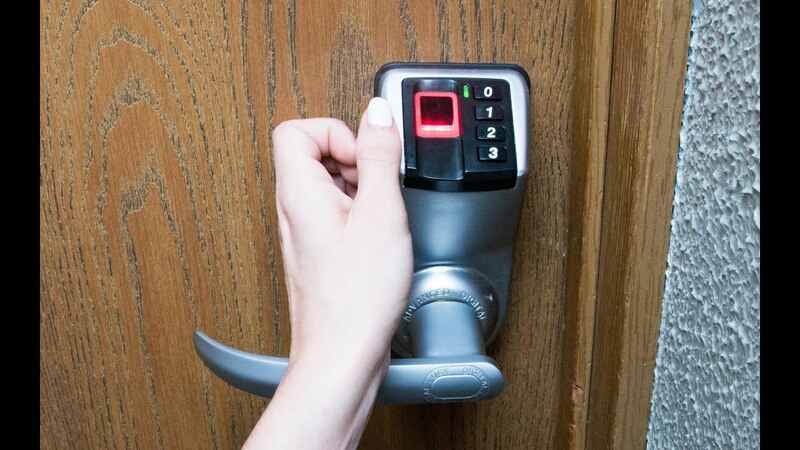 A biometric lock uses an optical or thermal scanner to read and memorize your fingerprint (and the fingerprints of other authorized users who you decide should have access to your home or offices). Typically biometric locks have just 2 easy steps. First, you press your fingertips (mostly right thumb) to the scanner and the device identify your unique finger prints. Next, you type in an authentication code into a keypad to open the door. But can you imagine the inconvenience it will cost you and to the company if biometric locks malfunction? For example, there is a total of 500 employees in the company you are working at. That means that there is an estimated 500 time in and out in a day and multiply that to the number of days you worked in a month. If you fail to get the accurate data from the biometric locks then it would be a very big mess. The next question, how can you retrieved the data for the whole month? This is where you need the help of an expert for biometric repairs. Biometric repair services are usually offered by the company whom you bought the biometric lock device. However, there are times that you need to request for a schedule from the company before they can go to your place and have the biometric locks checked. But with our company, just contact us anytime of the day and we have professionals who can immediately attend to your urgent needs. One of our asset is our mobile locksmith services. Aside from biometric repairs we can offer biometric lock installation. What are you waiting for? Save our number and feel free to contact us anytime for future emergency cases involving different house unlocking or office unlocking cases. Remember, your security is your success and your key to success is to have contact with the right professionals.